hospital for 11 million people. KCMC runs a local medical teaching program as well as accepting international students from around the world for elective placements. What did I learn at KCMC? 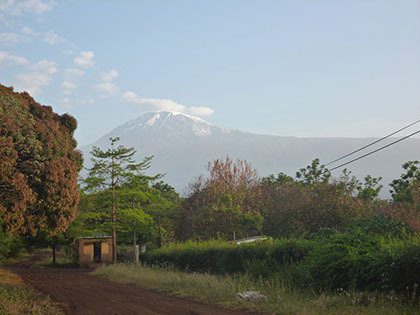 Moshi has one of Tanzania’s lowest rates of HIV at approximately 3%, however, HIV accounts for a high proportion of admissions and I encountered a mix of newly diagnosed adults and children and patients presenting with AIDS-defining illnesses. I also saw cases of TB, advanced lymphomas, advanced CNS tumours and malaria, including a pregnant woman with cerebral malaria, something I had only ever read about in text books. I was also surprised at the rate of lifestyle diseases including heart disease, hypertension and diabetes, with diabetic complications a common feature during ward rounds. KCMC receives its blood supply from local university students, and in holiday times (including January), KCMC experiences a critical shortage of blood and consequently patients were dying from blood loss, severe anaemia or being denied surgery. I spent much of my time with the local medical students, attending their lectures, hand-over, ward rounds and tutorials. The lecturers were engaging and friendly and it was refreshing to see blackboards used instead of computers! I also learnt how the local doctors rely on clinical judgment over pathology tests and imaging and how they develop management strategies without the supporting evidence that we rely on. This was particularly useful as KCMC’s CT machine has been broken for many months now. I met Tanzanians from a range of tribes including Chagga, Masai and Iraqw. These people are proud of their heritage and are proud to tell you about their background and family. Extended families play a vital role in caring for patients in and out of hospital including providing food, money and support. We were privileged to be invited for a traditional Tanzanian meal by one of our drivers and his family. These personal encounters made the whole experience richer and more rewarding. What did I learn outside of KCMC? eat at one of several cheap local restaurants. Everyone had advice about places to visit, food to eat, and what to do with your time off (to climb Kili or not to climb Kili? ), which meant we visited plenty of local sites you won’t read about in the Lonely Planet and had new friends to share the experiences with. 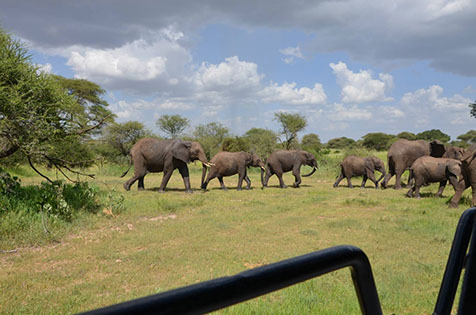 We used these recommendations to book a fantastic safari company for our end-of-trip safari –definitely a high-note to end our elective on. We also took some time to relax on the amazing beaches of Zanzibar, while other people took the time to climb Kilimanjaro. Unsurprisingly, I learnt a little about myself including 1) my ability to tolerate long flights and cold showers, 2) I prefer to admire Kilimanjaro from the base than set foot on it and 3) I am definitely “that” person who always gets bitten by mosquitos! may wish to explore in the future and I hope to return one day in the not-so-distant future. Cost (as of Jan 2015, all USD): Accommodation $150/month, plus electricity (approx. $10/week, but varies), Registration $150, Visa $200. Teaching is in English, but patients don’t always speak English. Swahili is the local language. Accommodation: On-campus 4 or 5 bedroom houses, mix of 2-person and 1 person rooms with Mosquito nets, cooking facilities, clean drinking water. House-keeper will wash your clothes for a small cost (~$3-4 AUD). Taxis are a safe way to get around after dark (about 7pm) for about $4 AUD to town or <$1 per person. Dalla Dalla (mini-van) are a cheap (but crowded) way to get between the hospital and town during day light (<$1). KCMC can arrange a taxi to collect you from the airport when you arrive, and it is very convenient (they will send an honest and reliable driver who knows exactly where they’re going) but about twice the price of a pre-booked taxi. Side note: You always have the right to ask your driver to slow down if you are feeling unsafe – the road from the airport to Moshi is highly dangerous. Currency: TZ shilling (available from ATMs) or USD (good exchange rate at the hospital or with other students). ATMs are notoriously unreliable, so always carry cash and don’t run out. Other students or admin staff are great resources for finding local supermarkets/shops. Your housemates will also be able to help you organise day trips and other outings. People are often organising Safaris, Kili climbs or day trips at short notice. Find someone to help you buy a local sim card – they’re pretty cheap and worth having. I had unlimited internet data for about $15 for 1 month. Health: Malaria is not wide-spread in Moshi, but prophylaxis is still recommended as there are some outbreaks. Malaria is a high risk in other surrounding areas, including Arusha, the National Parks and Zanzibar. Avoid tap water – embrace bottled! I recommend Dr Ashely Watson’s (Canberra Hospital ID consultant) health advice – he is very familiar with the region. Bring: I recommend bringing a towel, swimmers, sunscreen, hand sanitiser, a white lab coat and “in case” medications including Loperamide.